Because Khao Lak is such a small area there are not hundreds of hotels or hundreds of deals. Instead you need to decide when you would like to travel and then search the few hotels in Khao Lak in check the best deals that they have. 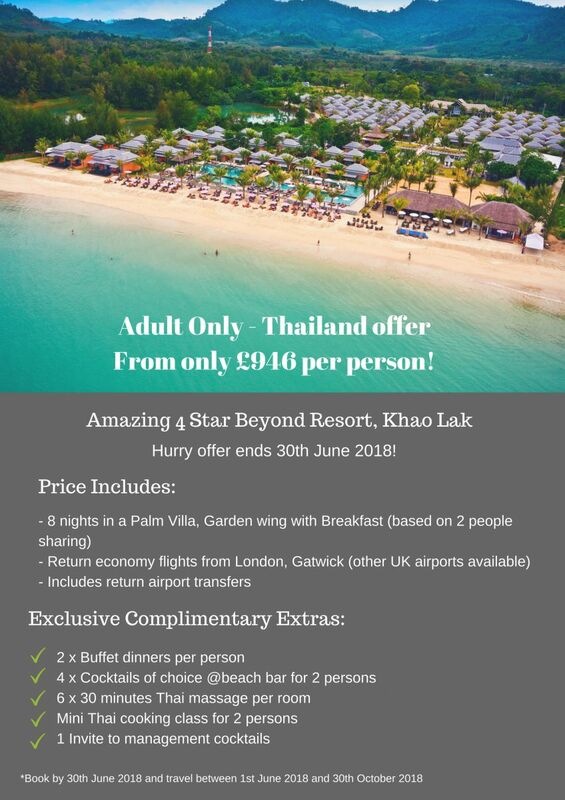 If you would like us to do this just enter your details and one of our experts will get back to you with the best Khao Lak deals they can find.